Amgen and Janssen were ranked first overall for corporate reputation. Amgen retained the number-one rank it achieved in 2016, while Janssen’s ranking jumped by six positions from 2016. However, while the largest percentage of patient groups ever ranked pharma companies highly in the survey, there are still areas where improvements can be made. The latest PatientView report, ‘The Corporate Reputation of Pharma, 2017 – the Perspective of German Patient Groups’, assessed opinions on 19 pharma companies based on a survey conducted between November 2017 and February 2018. Traditionally, German people and patient groups suspect for-profit healthcare companies of wishing to exploit the German model of funding national healthcare, which means fewer groups have working partnerships with pharma than in almost any other country. A total of 52% of responding patient groups stated that they worked with at least one pharma company. The equivalent figure among 1,330 patient groups worldwide in 2017 was 61%. 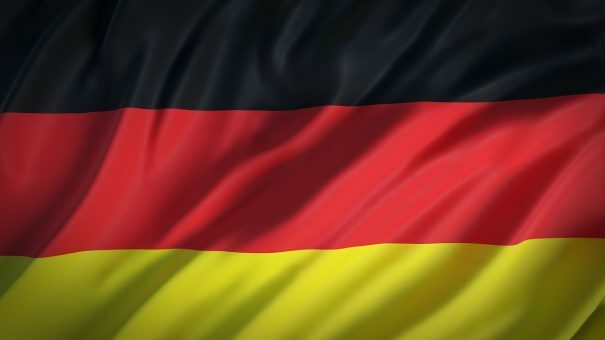 German patient groups were also less confident than their equivalents in the rest of the world that the pharma industry carried out its activities effectively, including innovation and the provision of high-quality products. However, the 2017 survey revealed that the highest percentage ever (39%) gave the industry as a whole an ‘Excellent’ or ‘Good’ reputation. The equivalent figure in 2017 among patient groups worldwide, though, was higher, at 43%. The groups’ attitudes varied depending on their focus, with cancer and multiple sclerosis patient groups giving positive feedback on the industry’s integrity and transparency, while the biggest critics were those involved with mental health, HIV/AIDS or general healthcare. The report stated that German patient groups had complex needs that must be addressed if pharma companies were to establish more, and better, relationships with them. Patient Information. The key words repeated about pharma’s patient information were ‘assurance’, ‘understandable’, ‘objective’, ‘neutral’ and ‘honest’. Groups said pharma should: engage them in the design of patient information; supply information to support patients coming off mental health treatments and provide more concrete (rather than general) information on the risks associated with treatment. Patient group relationships. Several groups emphasised that appropriate patient group partnerships should be sought early in the cycle of product development, so that they could co-develop strategies with pharma. Patient safety. Mental health groups, particularly, wanted clarity on the side effects associated with treatment (especially regarding the issue of dependency). Transparency. Many groups referred to transparency as essential across all pharma company activities. They felt that transparency needed to be extended, not just to pharma company relations with patients and patient groups, but also in other areas, like research protocols, funding of lobbyists, and the costs of company products to the healthcare system. Research and development.The key points included: the avoidance of duplication in research efforts; an increase in the number of patients involved in safety studies; and the necessity to offer tenders for independent studies. High quality products.The patient groups wanted pharma companies contemplating removing a product from the market to first consider the negative consequences on patients depending on the drug.